Managing the deluge of email from daily-deal sites, retailers, flash-sales sites, and Amazon is a pain. 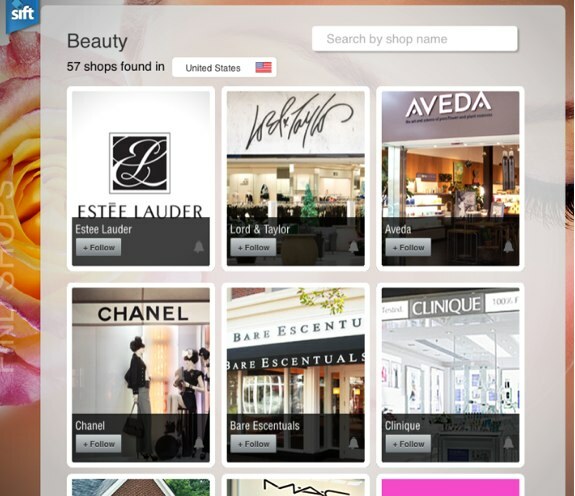 Enter Sift, a startup that takes retailer email and transforms it into a centralized and personalized mall on your iPad. Once you sign into Sift, the app detects your shopping preferences based on your inbox and then automatically re-formats the content from your favorite brands into a shopping experience on your iPad. So if you get emails from The Gap, Sift will allow you to access Gap product announcements as well as shop online via its iPad app. The startup essentially makes these emails “shop-able,” pairing hi-def images of the items to their respective offer, allowing users to make multiple purchases without ever leaving the app. You can also browse and find product announcements from stores and brands you don’t follow via email, limited offers and trending items. Considering the massive amount of email we are seeing from retailers around the holiday shopping season, the app couldn’t come at a better time. There are other startups that sift through your email to make sense of receipts, but Sift actually takes all retail emails and creates a more visually appealing way of interacting with these offers.